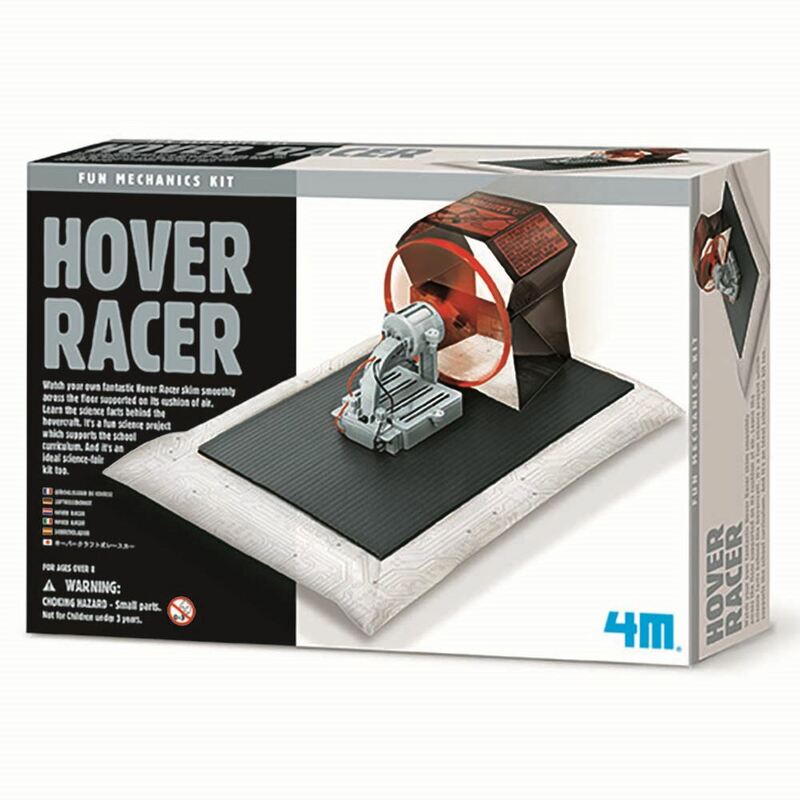 Watch your own fantastic 4M Hover Racer skim smoothly across the floor supported on its cushion of air. Learn the science facts behind the hovercraft. About 33cm long once built. Includes: a base panel, plastic skirt, arch template, battery compartment with switch and wires, propeller, motor with wires, accessories and detailed instructions. Required: 4 1.5V AAA batteries and a small crosshead screwdriver (not included). Age 8+ years. Part of the Fun Mechanics range. Distributed in New Zealand by Holdson.